The standard of cricket has grown leaps and bounds in the recent years and one of the key factors for the same has been the stress on the fitness of the players. Cricket has seen many players not at their best in terms of fitness but skills and it has also raised a valid argument against the tests done to evaluate a player and his potential contribution and with a lot of cricket being played now, it is vital to look after players especially the ones who play all three formats of the game. Teams have now begun to rotate players and manage their workload to ensure they have a large pool of players who are fit enough to adapt to the challenges thrown at them. Earlier, it was reported that the Board of Control for Cricket in India (BCCI) had made it mandatory for Indian cricketers to take the Yo-Yo test to prove their fitness to play any form of cricket for the nation. Ahead of the Test against Afghanistan and A tours to England and West Indies, many cricketers were asked to take the Fitness Test. India have often struggled in the past due to their poor fitness standards and many supporters will welcome this move ahead of a grueling schedule. We take a look at the players who have failed to pass the fitness test and hence find themselves in troubled waters. The Indian pacer from Bengal was ruled out of the Afghanistan Test starting on Thursday after he failed to prove his fitness at the NCA in Bangalore. Delhi pacer Navdeep Saini was named as his replacement. Saini was also part of India's Test squad during their tour to South Africa and has been around the circuit for a while. Shami had a tough time in the Indian Premier League with Delhi Daredevils, taking only three wickets from four games going at an economy of over 10. 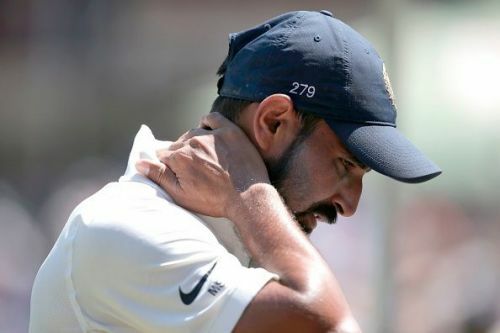 Shami's fitness issue has opened up the door for the impressive fast bowler from Delhi who took 34 wickets in eight games during the Ranji Trophy 2017-18.